The Squamish is a sporty boat that answers the call for a smaller rotomolded kayak that excels in touring performance. It represents a fresh approach to this category, incorporating some of the most desirable elements of North American and British design styles. 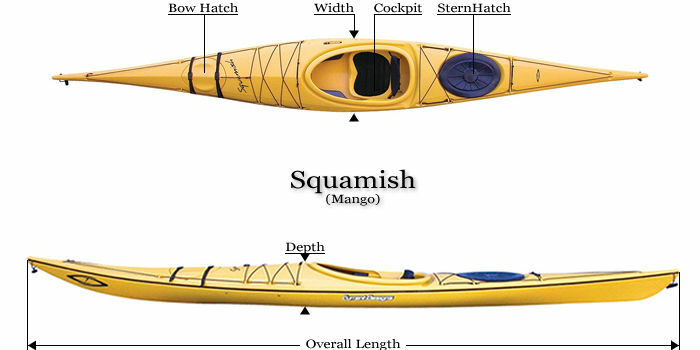 The Squamish is sure to appeal to the wave of kayakers looking for a fun, easy-to-use, performance sea kayak for day paddling and short trips. Skeg and back band come standard. Fish Form: Widest ahead of the cockpit, Fish form kayaks have a more blunt entry but will have a more slender exit through the water. The bows typically have more flare and are usually more buoyant than others. This enables our shorter boats to be excellent surf zone kayaks. 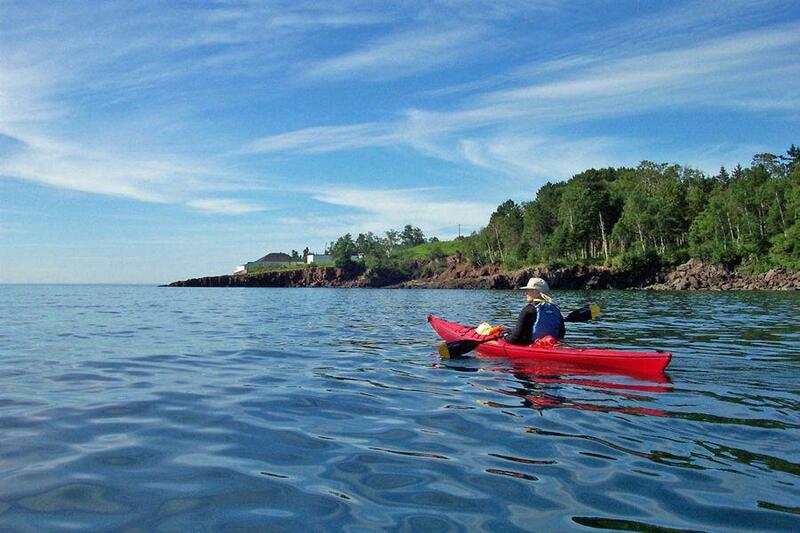 Longer kayaks benefit from this feature in large seas. Rotational molding uses high temperature to melt polyethylene powder in a closed rotating metal mold to produce a complete kayak hull and deck in a fraction of the time required for other construction methods. Our rotomolded polyethylene models offer paddlers the ability to enjoy many of the unique benefits of our designs at a economical price.